Diagnosis through radiation and safety equipment are largely used in hospitals and clinics treating tumor and cancer. According to a research done by International Agency for Research on Cancer (IARC) the number of registered cancer cases has increased largely, and the count is still increasing. The medical radioactive radiation market is expected to grow due to the increasing number of cases related to cancer. The main drivers in the market that are pushing radioactive radiation market are the increasing use of nuclear medicine and radiation therapy for diagnosis and treatments. Other reasons such as growing diagnostic imaging centers and increasing number of people covered under insurance have significantly contributed towards the market growth. Usage of technologically advanced products through research and development has also driven the market for medical radiation detection. Safety equipment and medical radiation detection are also important for nuclear medicine in which radioactive traces are employed for quick identification of cancer. Whereas it also helps in monitoring the growth of deadly diseases through visual tracking. Contrary to the drivers of the market lack of availability of skilled professionals or qualified medical physicists may slower down the growth and demand for these devices. Stringent regulatory policies is also decreasing its growth due to delays in the product approvals. Radioactive radiation is linked with various dangerous health complications, as it is invisible and odorless, equipment have been developed to monitor, detect, and prevent the exposure for safety concerns. Government is also making conscious efforts in solving the problems associated to safety against radiation. Emergency education is also provided by International Atomic Energy Agency (IAEA) and CDC that can help in anticipating the increasing radioactive radiation. Exposure to radioactive radiations in high levels is linked with various dangerous health complications. Since these radiations are not only odorless but also invisible, there arises a need for an equipment that detects, monitors, and prevents the exposure to radioactive radiations and thus provide safety to people. Medical radiation, detection, and safety equipment are especially required in hospitals and clinics treating cancer and tumors. As per the International Agency for Research on Cancer (IARC) in 2012, around 14.1 million new cancer cases were registered. This count is only increasing every year. This increase in the prevalence of cancer is expected to fuel the demand for radiation therapy, which in turn will create a need for medical radiation, detection, and safety equipment. Medical radiation, detection, and safety equipment are also essential for applications of nuclear medicine where radioactive tracers are employed to detect cancer early and also help in the monitoring of the progression of the deadly disease by means of visual tracking of the radiopharmaceuticals. Governments across the globe are concentrating on the solving the issues relating to safety against radiations. 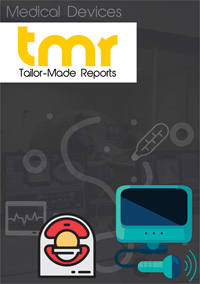 This is pushing the demand for safety devices, thereby driving the global medical radiation detection, monitoring and safety market. Other government agencies such as International Atomic Energy Agency (IAEA) and CDC for emergency training and education on radiations are anticipated to further the growth of the global medical radiation detection, monitoring and safety market. The growing safety awareness among people across the globe is one of the major factors fueling the demand for medical radiation detection, monitoring and safety devices. As the realization of the harmful effects of working radiation-prone environments is dawning upon people working in the healthcare industries worldwide, the demand for safety devices is growing. Growing prevalence of cancer and insurance coverage are factors boosting the growth of the market. The heightened use of radioactive materials across industrial processes such as power production and in the defense sector is encouraging the demand for medical radiation detection, monitoring and safety devices. The threat of terrorist attacks is constantly looming and this has resulted in the need for reliable and safe devices that offer protection. In this unsafe environment and amidst insecurity, the need for medical radiation detection, monitoring and safety devices is felt. The growth of this market is expected in the coming years as players in the market are striving hard to incorporate the latest technology, increasing their efficacy and enhancing the safety features. As governments across nations impose strict regulations on the emission of radioactive radiations, the market will benefit further. By region, North America is currently in a leading position. It is anticipated that North America will lead in the global radiation detection, monitoring, and safety equipment market on account of the presence of some of the major vendors of the industry, government support through regulations and incentives, and high investments in research and development. Europe is likely to be the second most lucrative market for radiation detection, monitoring, and safety equipment. The rising incidences of cancer in the region are one of the key factors creating a need for these safety equipment. Thermo Fisher Scientific, Inc., Bar-Ray Products, Inc., Canberra Industries, Inc., Protech Radiation Safety, ProtecX, Mirion Technologies, Inc., Landauer, Inc., Amtek, Inc., and Biodex Medical Systems, Inc.